There’s nothing I enjoy quite like tearing into an old printer or VCR to find some new crap for my parts box. Harvesting stepper motors, gears, belts and other mechanical bits is easy (and fun), but I’ve never really considered going after the electronics. The folks over at uC Hobby have a cool writeup of all the parts they scrounged from an old UPS unit. 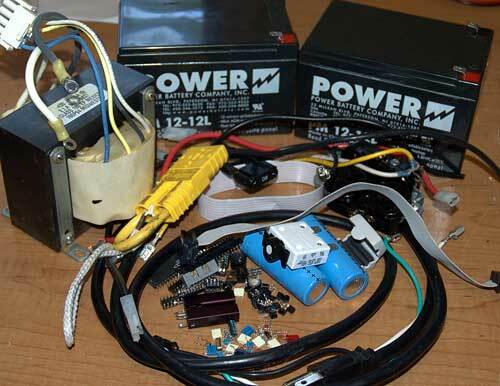 I was surprised at how many nice parts they found, including a couple of lead-acid gel cells and a serious transformer that could be really useful in your next alternative energy project. And since they’re from a device that’s meant to handle lots of power, the parts are all pretty beefy.